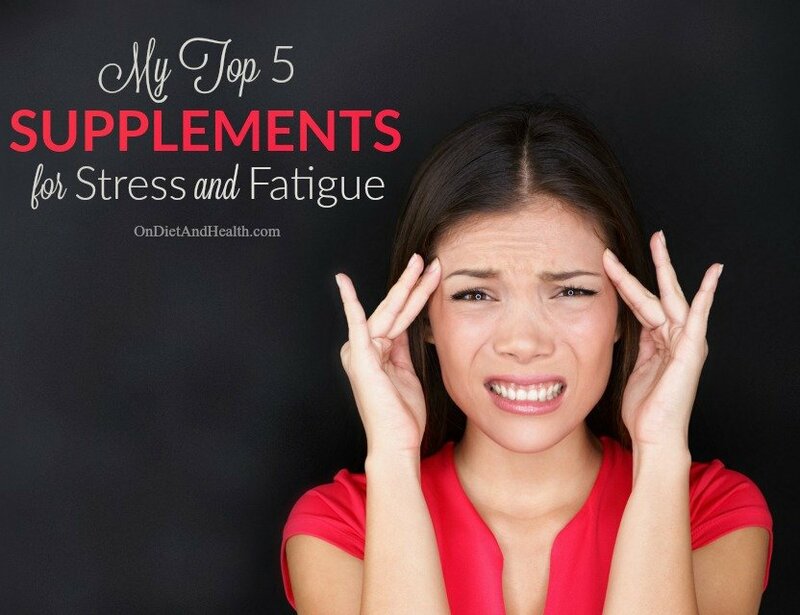 I sell these 5 supplements for stress and fatigue every day in my San Antonio clinic. Supplements can change your life – but only if you choose top quality. Most products bought at random don’t contain the highest grade ingredients or the right combination of nutrients. Are you unable to sleep? Why? Are pets or partner disturbing you? Is the bed too hot or the HVAC too noisy? Are your windows blacked out and the room dark enough so you make Melatonin? Are you not allowing enough time to sleep? Studies show even 3 nights short on sleep impair judgement and the immune system. Question the 2 “killer” beliefs that you have to work so hard and that you “can catch up” by napping on the weekend. Take it from me… you’ve got a long life ahead of you. There’s no need to hurry so much! Don’t let your mind stress you out. Control your thoughts! When you hear yourself say and think “this is killing me”, “this is a disaster” or I’m freaking out”, look closely at what’s actually true and what is really your “disaster mind”. If I step back and ask myself what’s the worst that can happen in this situation, the answer is sometimes laughable. It’s rare that a true life or death crisis is facing you, so don’t let your mind and body make a crisis out of everything. Are you eating enough real food and eating on time? Hunger makes you anxious, restless and cranky. (I’m not a fan of Intermittent Fasting for Women. Read more about that here). If you can identify one stress every month as your current top stressor, make it that month’s goal to make headway on that issue. Fire, hire, talk truth, or choose again! Are you getting some exercise? I have my laptop on an Amazon box on my desk so I can stand, squat and pace while working. I also work with a trainer 3 days a week. By far the best calming and anti-anxiety product I’ve ever carried, Passion Flower mellows your mind and relaxes the body (depending on the dose). Take a little or take a lot. It’s not addictive and teens can learn how to dose it to keep calm and sleep better too. 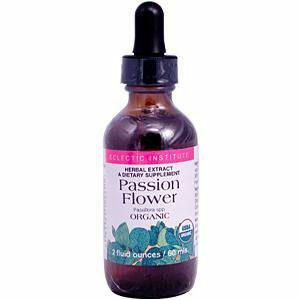 This one in Glycerite lets you dose straight into your mouth anytime without water to wash down a pill or dilute the alcohol-based Passion Flower tincture. If you prefer the alcohol based tincture, we carry it too. I don’t carry the herb in capsules as you can’t choose a smaller dose, and a full cap may make you sleepy. You can read more about Passion Flower for pain, insomnia and anxiety in this post and this one. N3 is a decades old product from Systemic Formulas – a professional supplements company founded by a master herbalist. I took a lot of N3 in the 80’s when I was running 3 companies and struggling with relationship issues. I still take it occasionally for pain, muscle tension, and to help me relax mentally and physically. N3 – Relaxa has a carefully crafted combo of vitamins and herbs that make it synergistically better than any of the herbs alone. This article on sleep mentions N3 as one of 10 natural sleep aids you can start tonight! 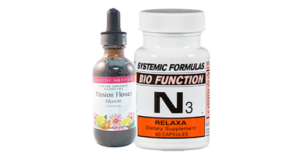 Passion Flower and N3 can also be bought together as my Stress & Sleep Multi Pack. Adaptogens are herbs and other plants that help your Pituitary and Brain handle stress without releasing so many harmful metabolites. 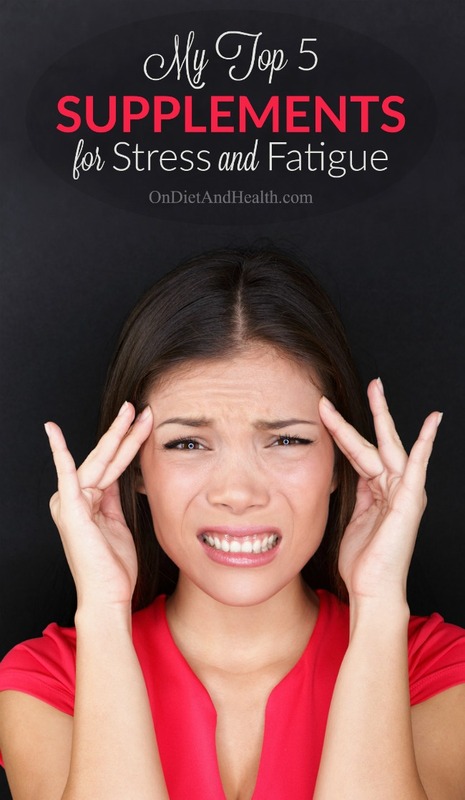 Reactions to chronic or acute stress damage the nerves and hormones, especially the adrenals. Accumulated stress and lack of sleep may be primary causes for all future health problems. Some adaptogenic plants are well known – Ginseng and Gotu Kola for example. 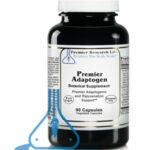 Premier Research Adaptogen contains entirely different herbs, roots and flowers than you may know. These are “Grade 10” herbs classified as pharmaceutical grade, the very highest in potency and freshness. Nobody does it like Premier. Note that this product does not make you feel more energized or put you to sleep. Its actions are deeply internal to your brain, nerves and hormones. If you’re under a lot of stress, you should take this product for months at a time. By far my top product for keeping your energy stable (especially good to ward off an afternoon slump), Ga – Adrenal also helps repair the adrenals, whether underactive or overactive. It’s fine to take daily for the long term or just when you’re tired and a good meal has not revived you. You’ll find tons of articles on my website that include this product. Here’s one, one more and a podcast. Order a saliva hormone test to check your cortisol levels and help you dose this product. I offer Saliva Testing for Cortisol with an hour phone consult here. Or a 15 item test with Cortisol, male/female hormones, Insulin, Gliadin and more here. Includes 1 1/2 hour phone review. 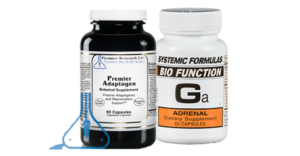 Here’s the link to Ga – Adrenal in my store. You can buy it as the Energy Multi Pack with Adaptogen as shown here. This is not your normal thyroid product. Unchanged for several decades, Gf-Thyroid has homeopathic thyroid plus herbs, vitamins and amino acids to feed the whole gland. 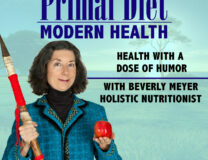 If your thyroid needs supp ort and you’re not taking hormone, give this a try. Go here to see the ingredient list. 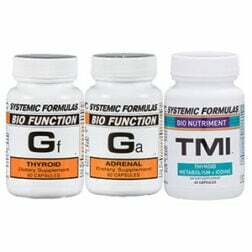 You can buy Gf – Thyroid with Ga – Adrenal plus TMI (a great Iodine and thyroid metabolism support) as the Hormone Multi Pack here. Signs of low thyroid include weight gain, constipation, thinning hair and eyebrows, cool body temperature and menstrual irregularities. 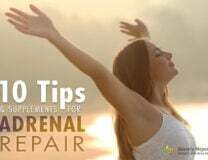 Before you try prescription thyroid, try feeding your adrenal glands first, adding some Gf – Thyroid, and getting more sleep and gentle exercise. Good luck to you and try to get that stress under control and allow more free time to read, sleep and play. It WILL pay off in reduced medical bills!